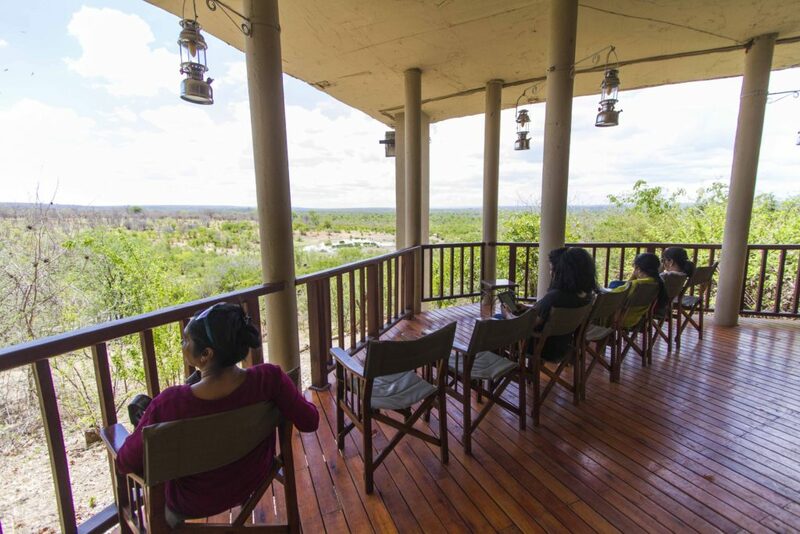 The Vulture Culture experience at the Victoria Falls Safari Lodge is about to get a facelift. 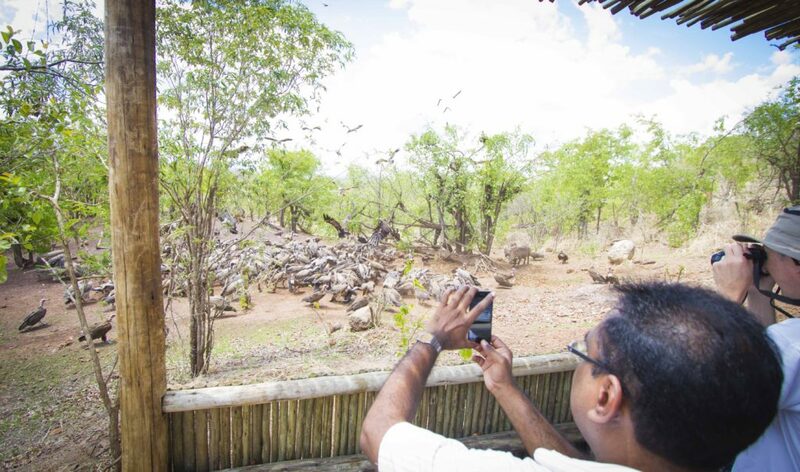 Guests will now be able to witness the spectacular sight of hundreds of vultures descend from the sky, from a secluded ‘hide’. For the last 5 years, the Victoria Falls Safari Lodge guests have been able to get a unique perspective on vulture behaviour in front of the lodge during a daily feeding experience. Staff put out leftover raw meat from the kitchen in front of the lodge and the vultures in the area are able to swoop down and grab the scraps. This meat supplements their usual diet, as there is not always enough natural food in the bush for them to forage. In order to make the experience more comfortable for guests, we are now building a wonderful wooden deck and hide under the Makuwa Kuwa restaurant. This deck will be the discussion point to explain to guests what vulture culture is, threats, and how it supports the species, before being lead down to the hide to view the vultures. Matepi poles for the walls and roof have been used to construct the hide, and terrace seating is concreted into the hide for guests to sit on and ensure everyone has a view. Vulture restaurants, as they are called, are an important part of conserving dwindling vulture populations in the area. 8 of Africa’s 11 vulture species have declined at an average of 62% across all regions over the past 30 years. Power lines, loss of food supply, direct poisoning, veterinary drugs from treating animals, traditional medicine and direct persecution are listed as some of the reasons for the vultures declines. The feeding program also allows the threatened vulture numbers to be monitored by scientists with data collection and population counts. 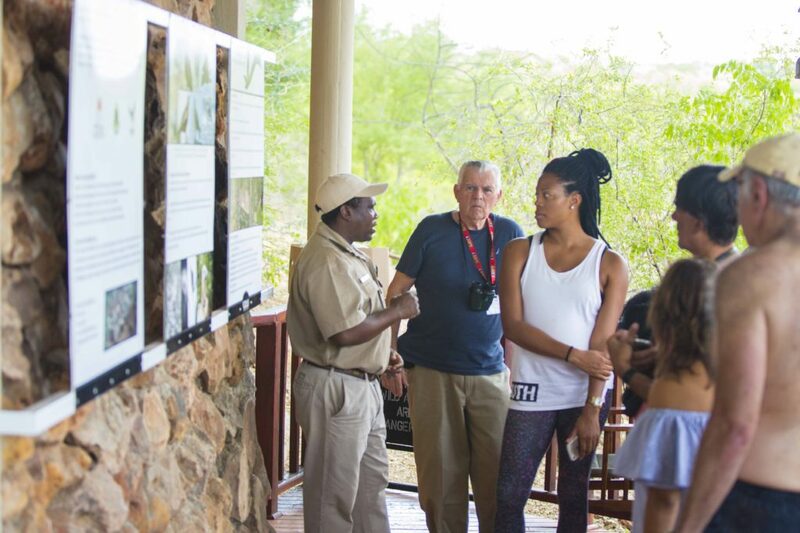 Kerri Wolter (VulPro), a prominent vulture conservationist visited us last year, and was very positive about the Vulture Culture experience at the lodge. We look forward to welcoming more guests to our new vulture viewing deck, to watch these remarkable scavengers swoop down, grab morsels of food, and take flight again, hopefully with a better chance of surviving in the future.